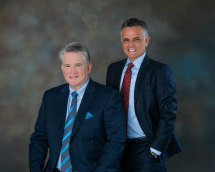 At Cuneo & Hensler, we are proud of our reputation for leaving no stone unturned in the pursuit of legal redress on behalf of our clients. Our clients can rely on us to be approachable, responsive, efficient, and dogged in our pursuit of justice. We have been handling personal injury lawsuits throughout southern New Jersey since 1987. Our track record of success is reflected in the many referrals we get from other attorneys and former clients. Other attorneys even come to us for representation when they have been injured. We are dedicated to providing the highest quality of legal services to our clients -- ordinary people who recognize the need to be represented by lawyers whose mission it is to battle and win both in and out of the courtroom. We strive to bring about the best possible closure for your particular situation. We never forget that our injured clients and their families must live with what we accomplish - it drives us to obtain the best result possible. If you have a workers' compensation, personal injury, medical malpractice, municipal court, or family law matter that you want to discuss, Contact Us today. We want to hear your story.